It is officially winter with the snow and cold temperatures, and I wanted to share some items that I love! Winter, along with the cold temperatures and short days, is not my favorite time of year, but we try to make the best of it. The cooler weather provides more time to do editing work on images for my photography project and it also provides time to catch up on things inside that I would otherwise put aside. 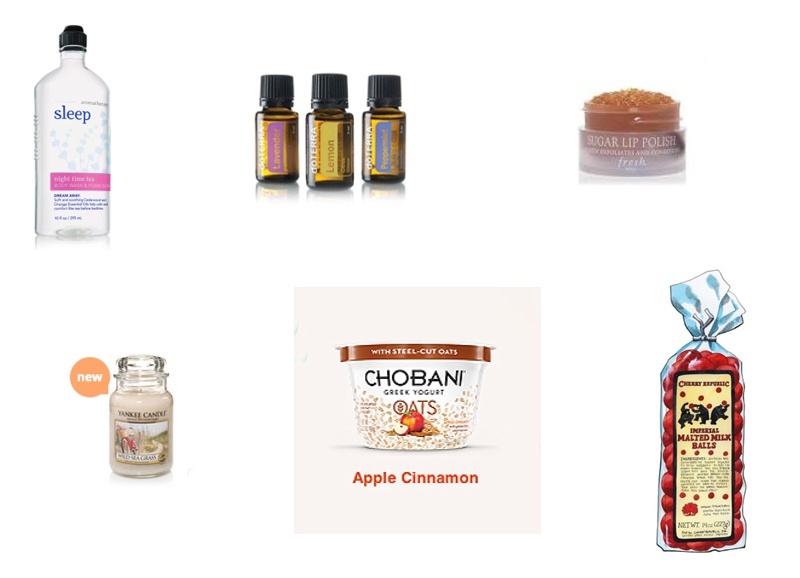 Below are the items I am loving during the winter! 1. Sleep — Nightime Tea Body Wash – I recently discovered this body wash at Bath and Body Works, and I really love it. I use this body wash in the evenings when I take a quick shower after the gym and before bed. It has such a nice smell and it is calming at the same time. 2. Doterra Oils — Doug’s Mom introduced me to these oils. They are really soothing, especially the lavender and lemon. I use them (a dab on my body) just before bed. You can also add the oils to a warm bath. 3. Sugar Lip Polish — My lips are always dry, especially in the winter. I decided to try Sugar Lip Polish, and it works well and it really conditions and exfoliates my lips. I use it several times a week, and it does wonders! 4. Candles – We have been burning candles all over the house! The candles give such a nice smell to our home and provides pretty light. We generally burn candles in the evenings and on the weekends. I like Yankee Candles; however, I am always searching and purchasing good smelling candles to use in our home! 5. Chobani Oats Greek Yogurt — I like yogurt, and I recently saw this new product at the store, and I decided to give it a try. It is delicious, and the Apple Cinnamon flavor is my favorite! 6. Cherry Malted Milk Balls — Cherry Republic is Michigan based, and it sells everything cherry. In my stocking, I received a bag of Cherry Malted Milk Balls, and they are delicious — one of my favorites! Each time I go to Michigan, we usually visit the local Cherry Republic store and taste all of the samples! You can view other things I love here! Be sure to sign up for the Newsletter, which is coming soon! Aquaphor Lip Repair is a good option also. I read it has no irritants. Rosy Ring candles are nice also. Copyright © Katherine Carver 2019. All rights reserved. Unless noted otherwise, all photographs copyright © by Katherine Carver. All rights reserved. Please Note: By viewing this website, you agree to the terms. Copyright © Katherine Carver 2019. All rights reserved.